Boca legend Juan Roman Riquelme, gave more details about how shady he thinks the Libertadores final was last week. Just like any other Boca Juniors fan, idol Juan Roman Riquelme has a lot of questions regarding the way in which the security detail was put together for the Libertadores final at River Plate’s Estadio Monumental last week. The recent images of this past Sunday’s security measures taken by the local police on the same corner where Boca Junior’s bus was attacked, have sparked the former player’s interest and he is demanding answers because he too feels like there is something fishy about the way everything went down. Riquelme also explained the reason behind his disappointment for not being able to play the match at River Plate’s stadium, he explained the passion that any Boca Juniors fan would feel if they would’ve won the biggest competition in South American football at club level right on your biggest foe’s backyard. In some twisted logic that cares to explain why everything happened the way that it did, there is a reasonable argument that the River Plate fans were terrified of the idea that Boca could win the Libertadores in their own stadium. Even now that the match won’t be played in Argentina anymore, there is still a sensation that the losing side will suffer for decades because of how big the connotation of this final is. If you ask any fan from any of both clubs, they will both agree that losing this match would be devastating for them. The grand day is fast-approaching for the rest of the world, the tickets are already sold-out but there already are ‘vultures’ reselling many of the seats for thousands of euros and people are actually paying for them. Riquelme is the best representation of how every fan will live this unique football moment in history. 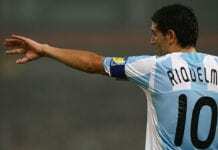 “The whole security detail was very shady,” said Riquelme via Diario Ole. “What happened is very weird, I really don’t feel like getting used to living like this. I don’t want my kids getting used to watching people throwing stones on the streets,” he added. During the interview, Juan Roman Riquelme was also questioned about his plans for the future as one of Boca Juniors most revered figures, there are many fans who have always wanted him to become the new president of the club. Riquelme does reunite all the qualities that make a great president, he has always shared a connection with the fans, he knows what the average Boca supporter wants for the club, and he knows so much about football that it’s not even funny. Watching how poorly president Daniel Angelici conducted himself in this whole situation, Riquelme did confirm that he would consider the position in the future as he only has the club’s best interest at heart. “I really don’t know if I will ever become Boca’s president. I love Boca, I’m a bostero because of my dad,” he continued. “I will die as a bostero. All I want now is to watch the game with my son, I want to enjoy it. If things don’t go well, I will have to think about everything in order to see what decision I make,” concluded Roman. 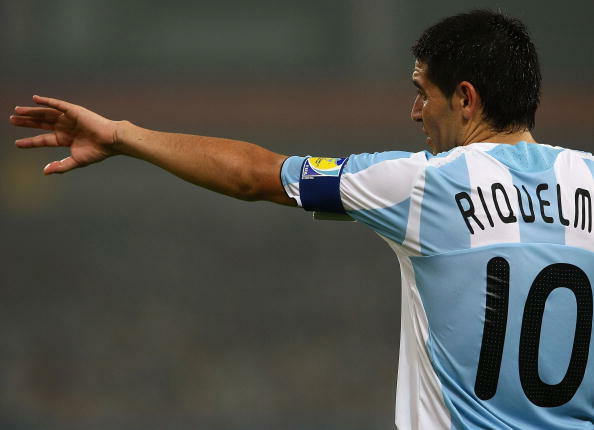 Would you like Juan Roman Riquelme as the new Boca Juniors president in the future? Please share your opinion in the comment section down below.